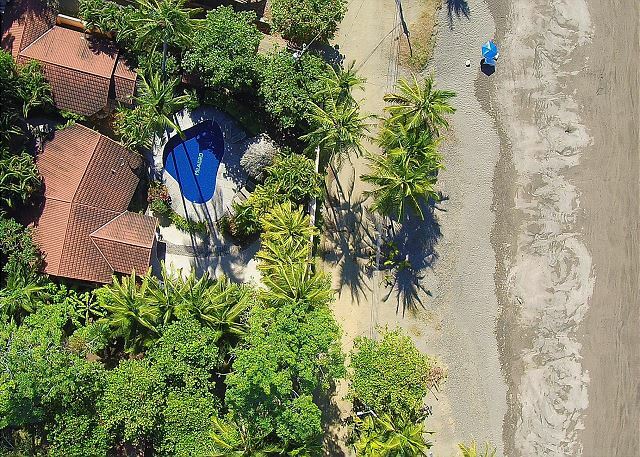 This 3 bedroom, 3 bath, fully titled direct beachfront property located on the desirable South end of Jaco Beach, Costa Rica is a touch of heaven. 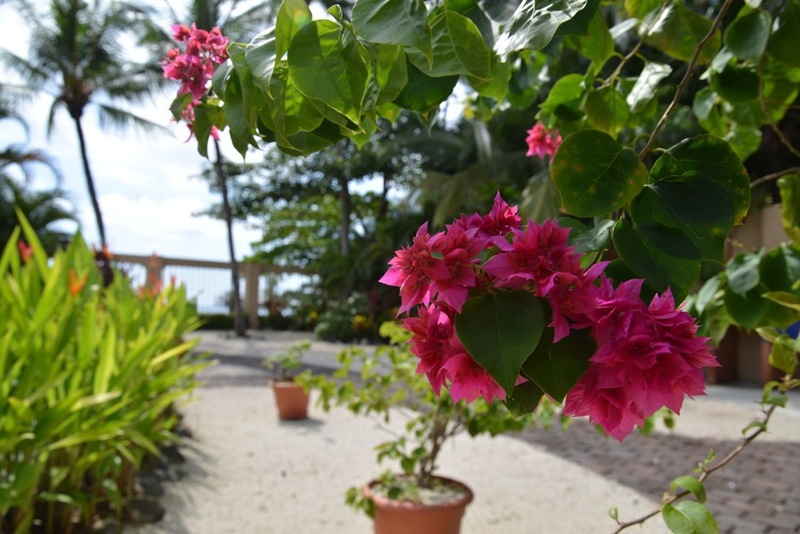 When you see the Macaws flying overhead, the waves breaking on the beach directly in front of you, the custom in-ground pool sparkling and shimmering in the sun and the tropical garden surrounding it all, you will quickly realize this is paradise. The property consists of 2 buildings. The main building has a great room design combining living room, dining and kitchen under a beautiful vaulted wood ceiling. 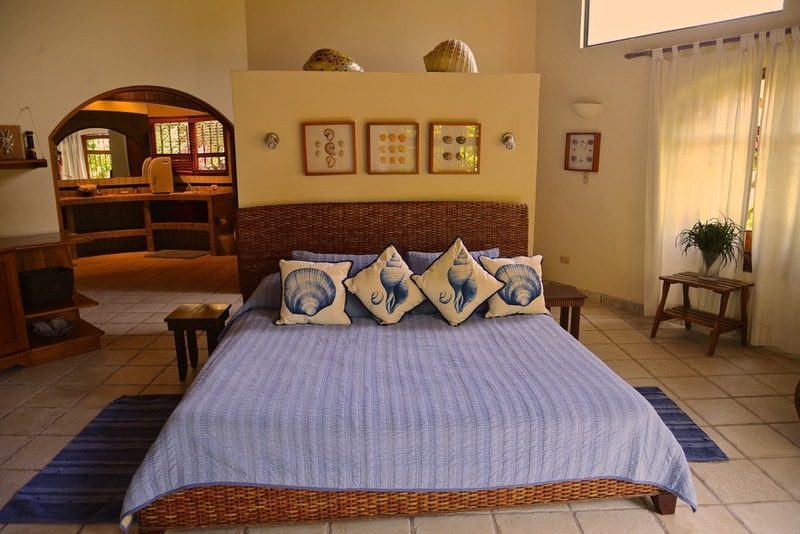 There is also a spacious master bedroom and large bathroom with the same beautiful vaulted ceiling. 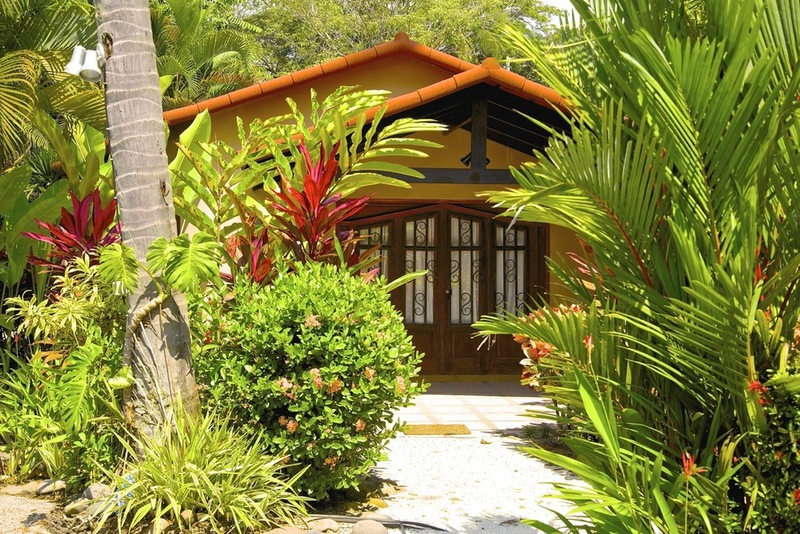 The guest rooms are separate from the main house, surrounded by garden and each having their own private entrance. 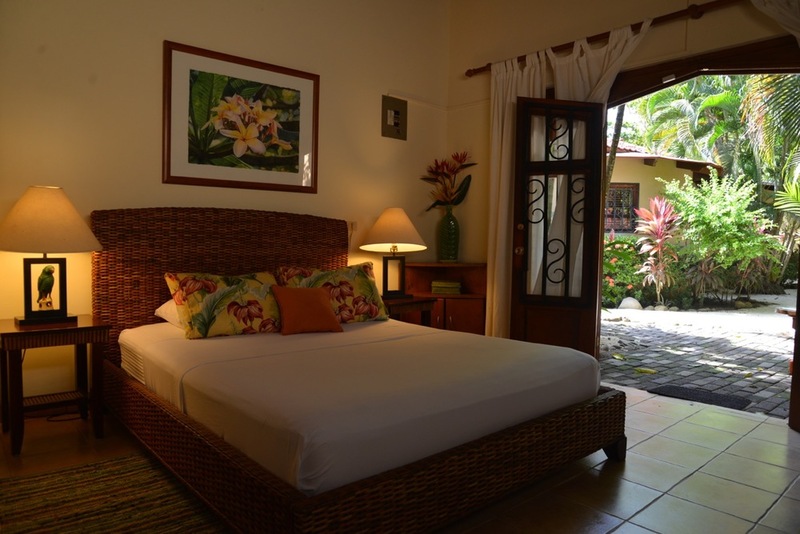 The first guest room is very large with it's own bathroom and private patio. Two queen beds and a sitting area make it a grand place for guests. The second guest room and bath is tucked away a short distance down a garden path with lots of privacy and it's own patio as well. 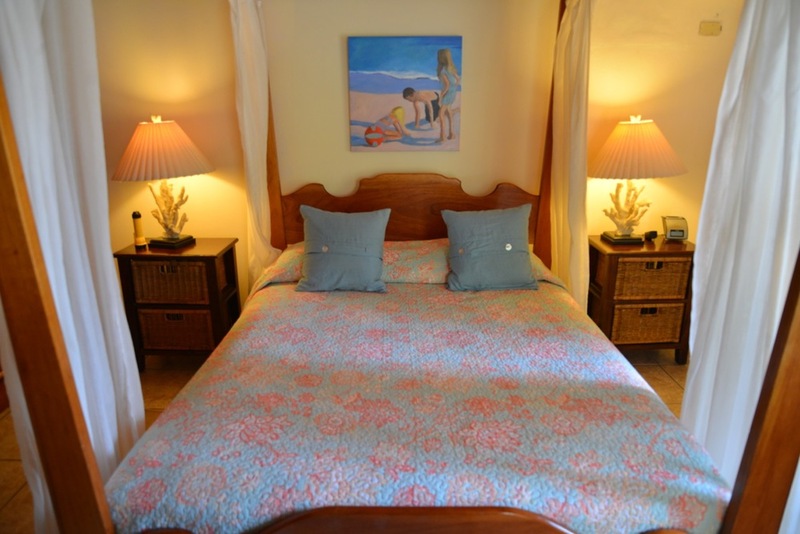 Both guest rooms have the beautiful vaulted ceilings to match the main house. 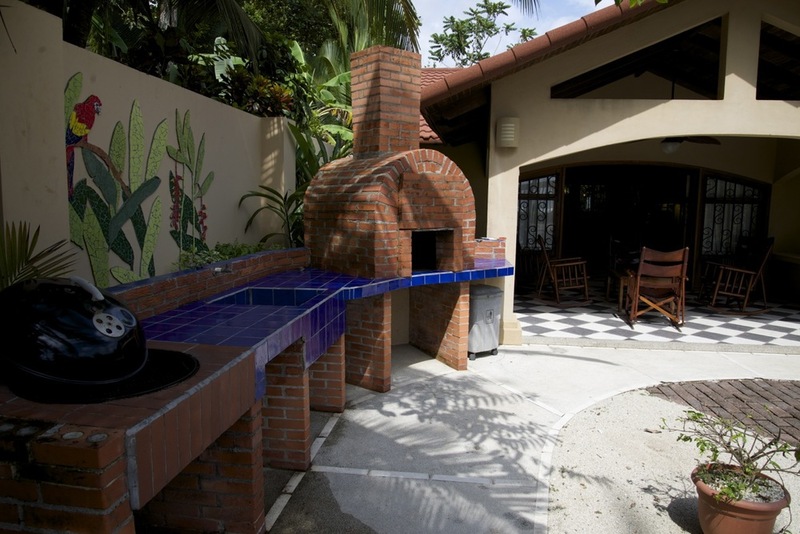 The owners have put their own artistic mark with a number of mosaic murals. 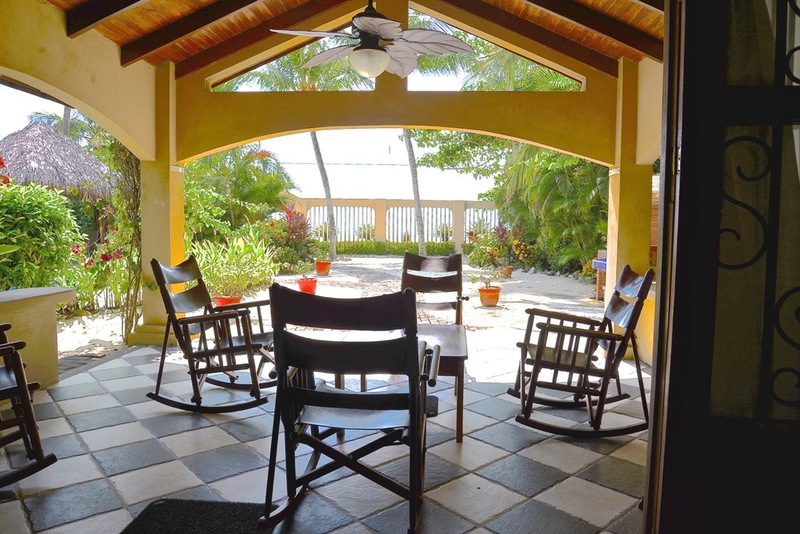 There is a beach front barbecue off the covered porch and a rancho next to the pool for a shady respite. 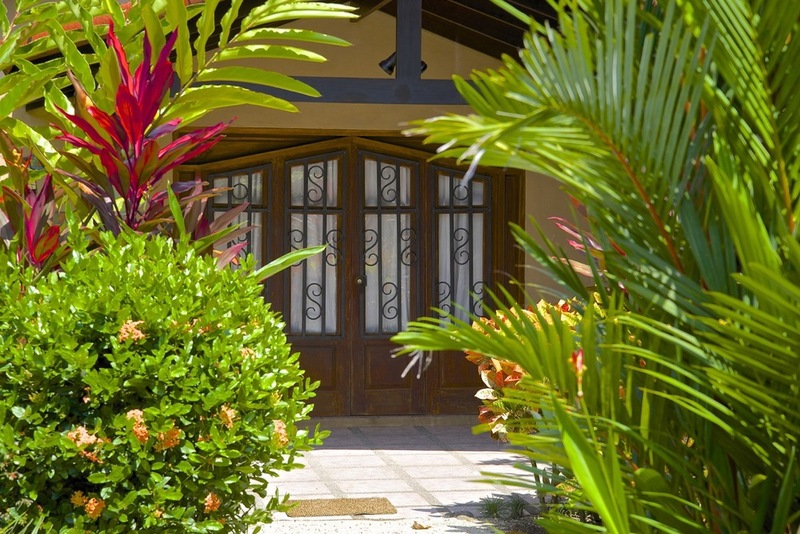 There is air conditioning throughout as well as an alarm system. 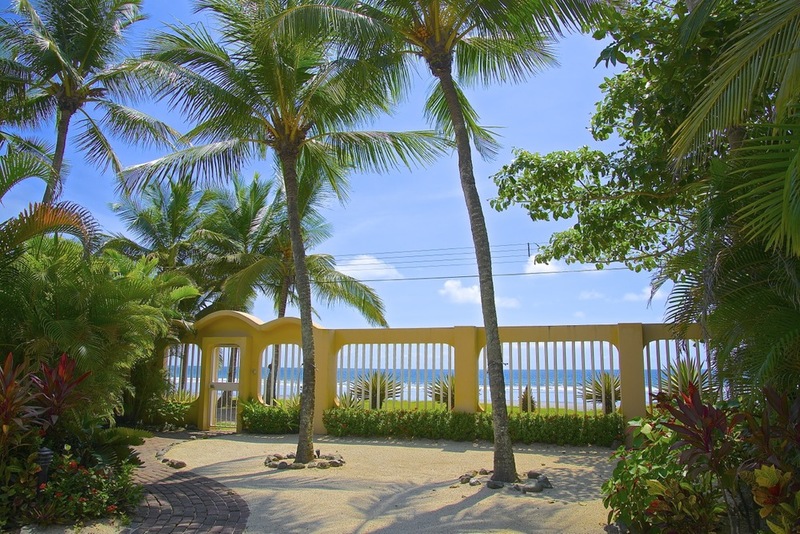 One of the main highlights of Casa Milagro is it’s direct beachfront location. 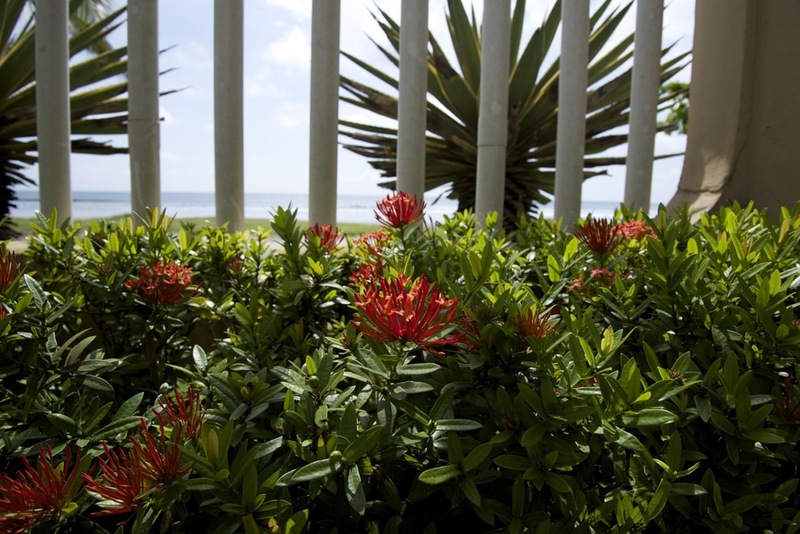 A stroll through the front gate and you are on the beach to swim, surf, watch a spectacular sunset or relax on the sand. Paradise found! 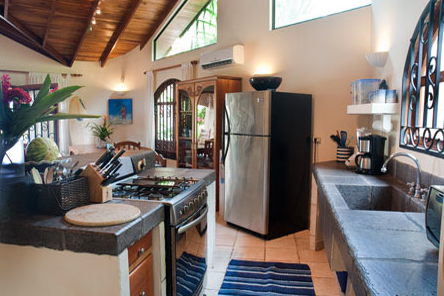 This 3 bedroom, 3 bath, fully titled direct beachfront property measures just under 1000 m2 (yes one thousand!). 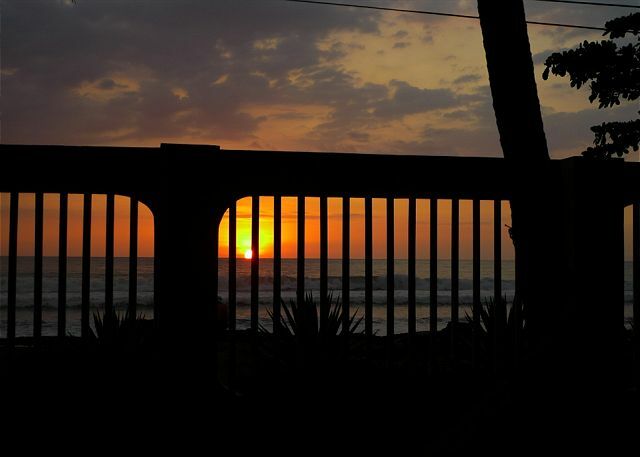 Located on the desirable South end of Jaco Beach, it's a touch of heaven. 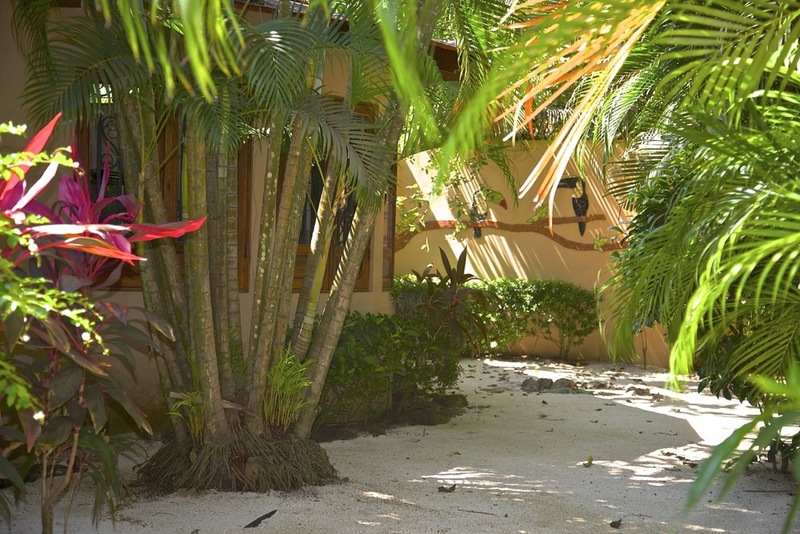 When you see the Macaws flying overhead, the waves breaking on the beach directly in front of you, the custom in-ground pool sparkling and shimmering in the sun and the tropical garden surrounding it all, you will quickly realize this is paradise.